The winner of numerous awards for both fiction and nonfiction, Jennifer Armstrong has written more than 100 books for all ages, from pre-school through young adult. Growing up in South Salem, New York, Armstrong knew by the time she was six that she was going to be an author. As a child she spent countless hours outside, making up adventure stories and acting them out. After graduating from Smith College in Massachusetts, Armstrong worked as a ghostwriter for a bestselling teen series and began to write her own books. She has since written picture books, easy readers, chapter books, young adult novels, and nonfiction. History has been a recurring theme in both her fiction and nonfiction. Among her recent works are Photo by Brady: A Picture of the Civil War (Atheneum), a James Madison Book Award Honor Book and an IRA Teachers’ Choice for 2006 and Magnus at the Fire (Simon & Schuster), a picture book illustrated by Owen Smith that won a 2005 Henry Bergh Children’s Book Award from the ASPCA. She is also the author of Shipwreck at the Bottom of the World: The Extraordinary True Story of Shackleton and the Endurance, winner of the NCTE Orbis Pictus Award for Outstanding Nonfiction; In My Hands: Memories of a Holocaust Rescuer, co-authored by Irene Gut Updyke and winner of a Cuffies Award (Children’s Booksellers) for best autobiography; Steal Away, an ALA Notable Children’s Book and an SCBWI Golden Kite Honor book; and Becoming Mary Mehan (Knopf), a pair of novels set during the Civil War. She is the recipient of the New York State Library Association Knickerbocker Award for Juvenile Literature. Armstrong has also edited two anthologies of original short stories. She has traveled to the South Pole on a grant from the National Science Foundation and is currently working on a book about the history of ice. 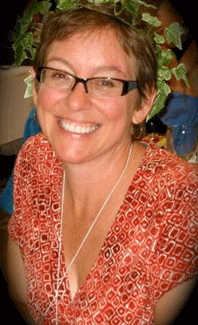 A frequent speaker at schools, conferences, and children’s literature events, Jennifer Armstrong has also been a guest lecturer at the MFA in Writing for Children program at Vermont College and a writer in residence at the Writers Voice of Silver Bay. She serves as Vice President of the board of directors at Ausable Press, one of the leading not-for-profit small poetry presses in the country, and also sits on the board of the Universal Preservation Hall in Saratoga Springs, New York, a project to turn a historic church into a performing arts center.